Galveston, TX is a beautiful city and is a definite must-see on this summer’s travel bucket list! There are many fun things to do and see! Here is a list of top things to experience while in Galveston! Moody Garden’s Galveston Island– Explore an aquarium, a rain forest exhibit, Colonel Paddlewheel Boat Cruises, zip lines, a ropes course, Palm Beach waterpark and more! Pleasure Pier– Enjoy rides, shopping, games, dining and more on this historic pier! Ocean Star Offshore Drilling Rig and Museum– Learn about offshore oil and drilling through models and interactive displays. Seawolf Park– One of the island’s most popular fishing piers and picnic sites. View attractions, including the WWII submarine the USS Cavalla, the USS Stewart and the remains of the WWI tanker S.S. Selma. Schlitterbahn Galveston Water Park– Enjoy up to 35 water adventures including water slides, lazy rivers and a surf ride. Get Hooked Fishing Charter– Get hooked on fishing in the Gulf Coast. 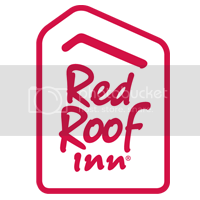 When in Galveston, make sure to get the most out of your travel experience by staying at the Red Roof Inn located right on the beach front and close to many of the attraction, Red Roof Inn Galveston – Beachfront/Convention Ctr! Red Roof on the Red Carpet at the Max Premiere!